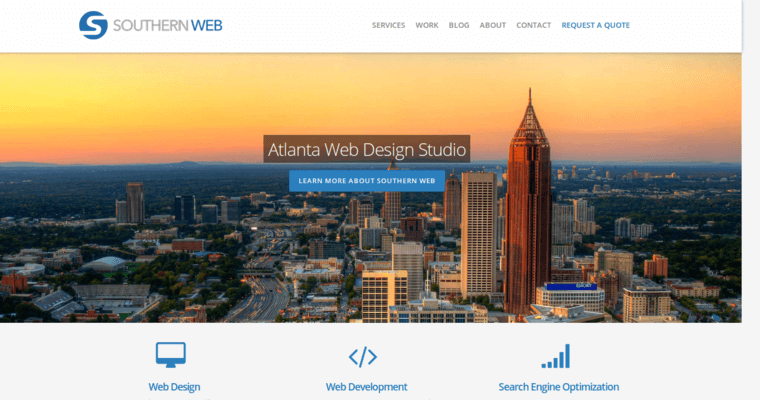 Southern Web Group is an Atlanta-based website design firm and internet marketing agency. 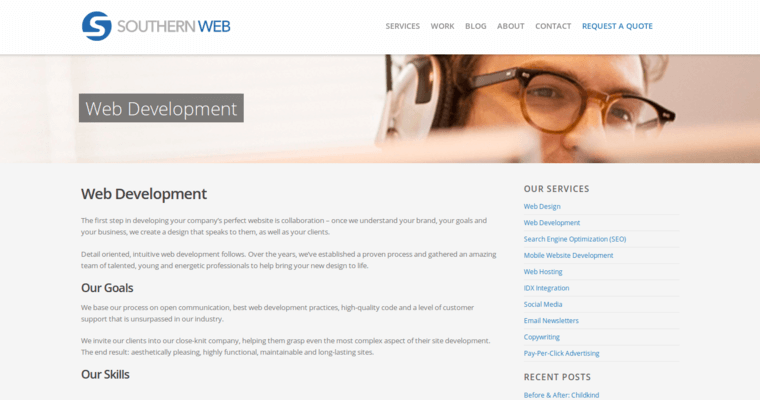 Website designs that foreground the user experience and search engine optimization that maximizes leads and conversions are the bread and butter of Southern Web Group. 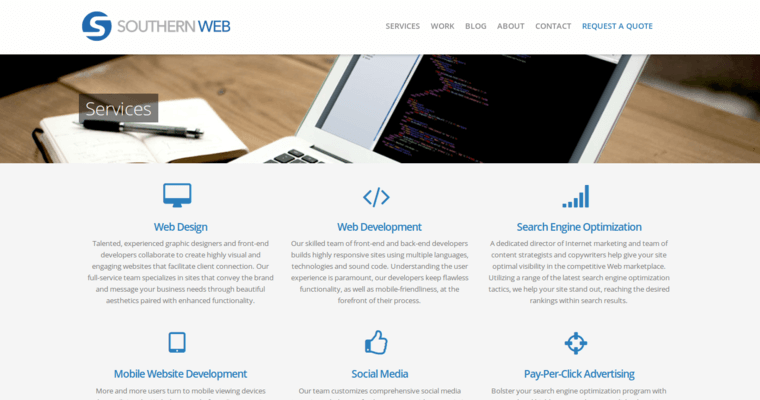 Websites are designed by Southern Web Group's skilled team of developers with an eye towards aesthetics, engagement and conveying the clients brand in the best light. Many types of source code and languages are used to make sites functional, and websites are designed to automatically reformat and work across devices. Driving traffic and engaging new markets is one of the stated aims behind Southern Web Group's innovative use of social media marketing. Pay-per-click advertising and email newsletters are used in conjunction with marketing campaigns to bolster traffic and drive lead generation. The expense and liability of web hosting is also made easier for clients since Southern Web Group offers affordable web hosting.